Meet Patrick McEvoy and Ivan King. They will be the cover photo for the official SONBWG magazine. 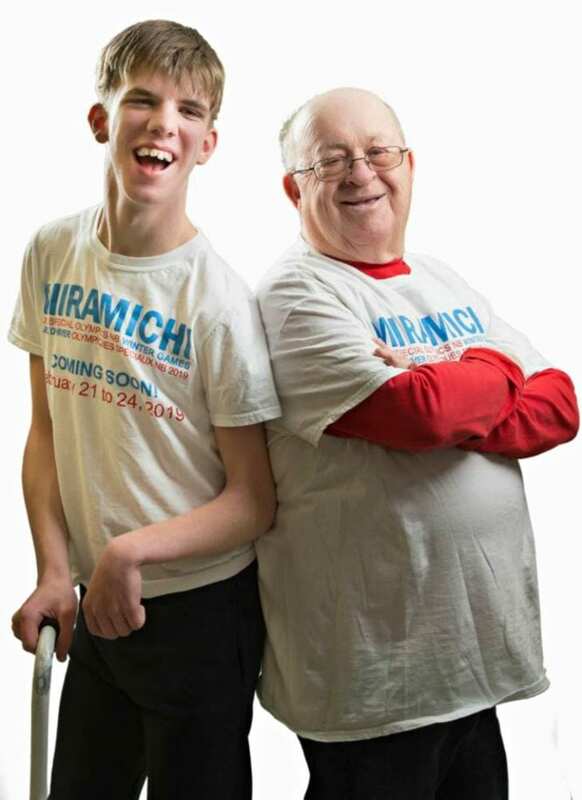 Patrick is Miramichi’s youngest Special Olympic athlete participating, and Ivan is our oldest. Patrick is a grade 11 student at Miramichi Valley High, and this is his first Special Olympics games. He loves to swim, bowl, travel and listen to Paddy Quinn and Darcy McLaughlin on 95.9 Sun Fm. He is their biggest fan. He someday wants to have his own podcast or radio show. 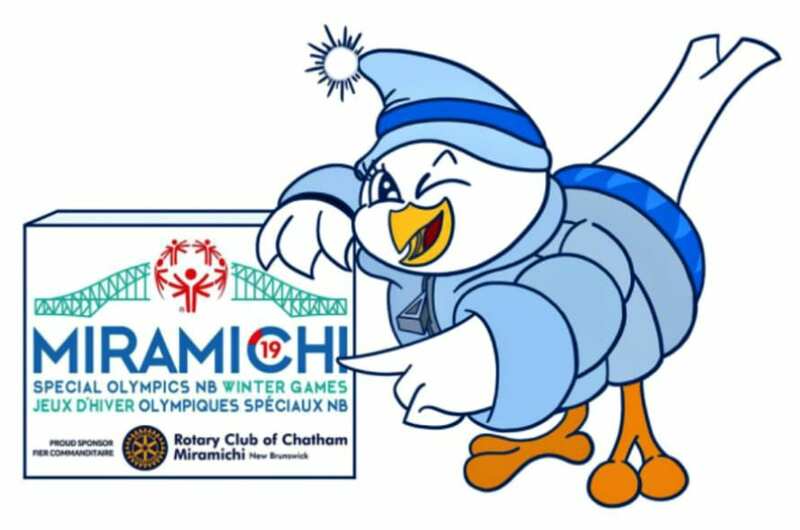 With 10 days until the New Brunswick Special Olympic Winter Games in Miramichi kick off, the Miramichi Chapter of the New Brunswick Special Olympics are pleased to introduce many of it’s athletes in various sports. 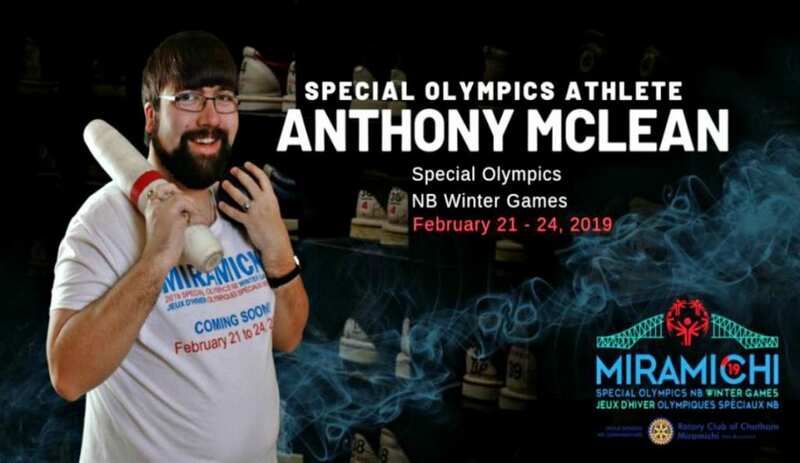 Our own Mighty Content Coordinator, Anthony McLean is honored, proud and excited to be part of this upcoming event happening right here in the Miramichi from February 21st to 24th. He will be competing in Candle Pin 10 Pin Bowling!! Anthony is a walking encyclopedia and he knows everything about the history of the Miramichi. He can tell you lots of fun facts about any of our Miramichi historical buildings. Anthony is also quite the photographer and he is at every event that matters in the Miramichi taking pictures. He is a true Miramichi community man. Anthony will be bowling up a storm during the winter games. Come cheer him on. 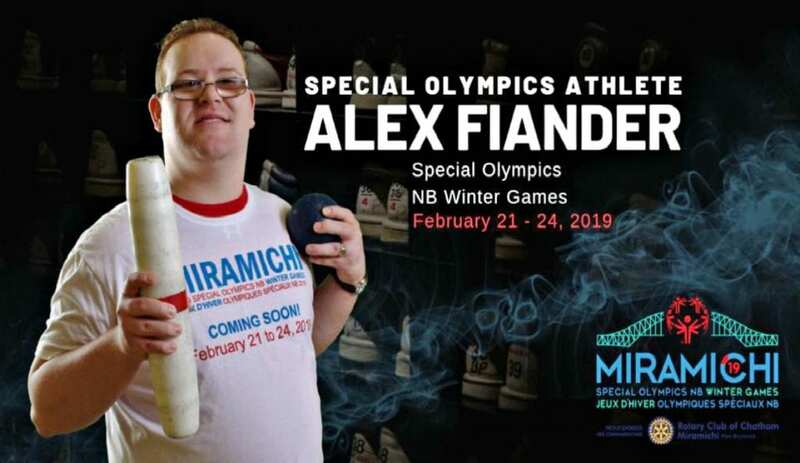 Other sports with these games include Floor Hockey, Curling and Snowshoeing and athletes, coaches and volunteers will grace Miramichi soil from all over New Brunswick and Prince Edward Island. The Miramichi Chapter has been releasing posters and profiles of our local athletes on their Facebook page for the past week. These professionally done posters are a great way to acknowledge the athletes and all their hard work. Meet Alex Fiander. What a gentleman! He is so pleasant and loves to talk about every subject going. Alex loves to swim, bowl and of course ref floor hockey. He doesn’t take any flack off of Coach Ivan King and will gently but firmly put him in his place. Come see him knocking pins down during the Winter Games.